It is four weeks before Malawi holds the much anticipated tripartite elections. There is a lot at stake, not only because Malawi will be holding tripartite elections for the first time but also because the elections have coincided with Malawi’s 50th independence anniversary when most Malawians will inevitably be assessing Malawi’s achievement within the half a century of self-rule. So far, comments and analysis on Malawi’s 50 years of independence capture this occasion as a moment of reflection and not necessarily a moment of celebration, as expected of such occasions. This is a revealing signpost of where Malawi is; there is little to celebrate and more to worry about. There is no denying that Malawi is far much better place than it was 50 years ago, every aspect of human life has improved. It is disingenuous for anyone to suggest otherwise. Yet, looking at countries surrounding this landlocked country, you realise that Malawi could have done much better. Neighbouring countries like Zambia with a lot in common with Malawi are graduating to middle income countries while Malawi remain among the poorest countries in world. Where is Malawi getting it wrong? What can be done? These are not just points of reflection as the country turn 50; these are also issues Malawians need to take seriously when making our decisions at the polls. 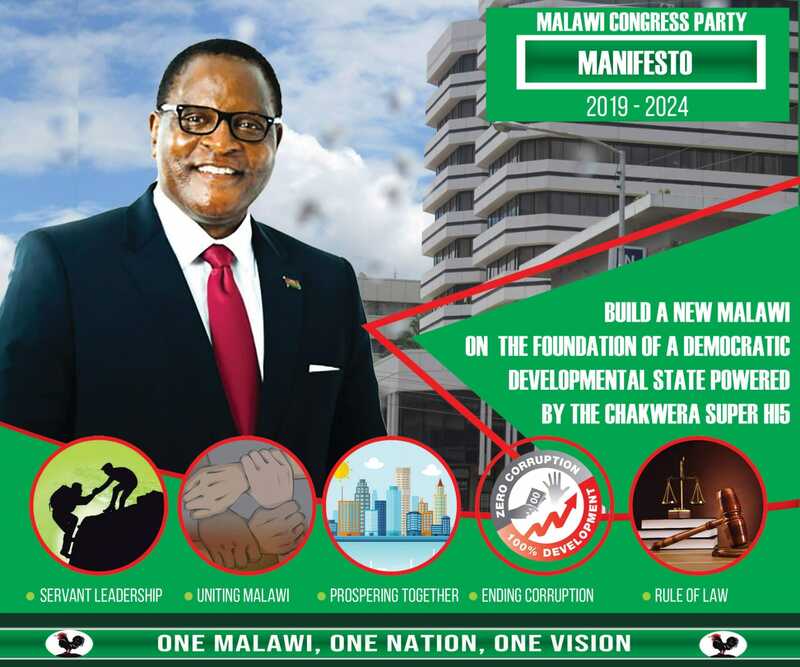 They say actions speak louder than words and Malawians know what the so-called ‘main’ four parties: MCP, UDF, DPP and PP are capable of – they have been in power before. This is an opportunity to go beyond their manifestos and see who they really are. Talk is cheap and so are political promises and manifestos – none of it is legally binding. Statistics indicate that every incumbency has left power with Malawi statistically poorer than it was when they came to power. This shows the calibre of political leaders Malawi has had so far. So far, cashgate revelations have shown that this gargantuan theft of state resources stretches as far back as 2005. It is therefore no wonder that Malawi’s political establishment has not taken the issue as seriously as they should, save for occasional moments when an opposition leader thinks there is a political mileage to gain if they lambast the current administration on cashgate. Parliament convened specifically on cashgate, nothing happened. MPs pocketed allowances and went, business as usual. Last week’s Weekend Nation alleged that cashgate was reported to the late Bingu wa Mutharika in 2012. We all know nothing happened. Newspapers carry revelations of corruption, theft and embezzlement of state resources week in and week out, nothing happens. It is not surprising that the political leaders can even dare to stand on a podium and declare themselves fit to lead Malawi simply because they have stole less money while in power than their opponents. Theft, corruption and embezzlement have been institutionalised over a period when Malawi should have been building institutions of democracy. There is no coincidence that a governing party is always the one with political campaign resources. It is stolen state resource in fact. This is how the ‘main’ four parties have establishment themselves. Why are Malawians not discussing how political parties earn their ‘big’ party status? Ask yourself: if the late Bingu wa Mutharika survived that fatal heart attack and President Banda remained in opposition, would PP today be a leading party spending big in their bit to form the next government? Bingu stood for presidency in 2009. He got less than 1% of the vote but managed to win elections five years later when he joined then ruling party, UDF, are there any coincidences here? The sad thing is that it is ordinary Malawians, blindfolded with cheap hand-outs, who are used to give mandate to unscrupulous politicians. The recent IMF working paper on democracy in less-developed countries has an interesting conclusion: in these countries state resources are mostly exploited for political benefits. Two years before and two years after elections all the fiscal discipline is thrown out of the window in favour of winning elections are consolidating power. Before elections, folks are busy campaigning using state resources and spending less time in offices as they are out campaigning. After elections the winning party will need more resources to say thank you to those they helped it win. This comes in a form of bloated cabinet; unnecessary and limitless ‘presidential advisors’, diplomatic mission recalls and reposting; and buying MPs, especially if the governing party has minority in parliament. Whoever wins the 20 May elections; I can guarantee that the latter point will be their first exercise, not sorting out the national economy as they are currently claiming.